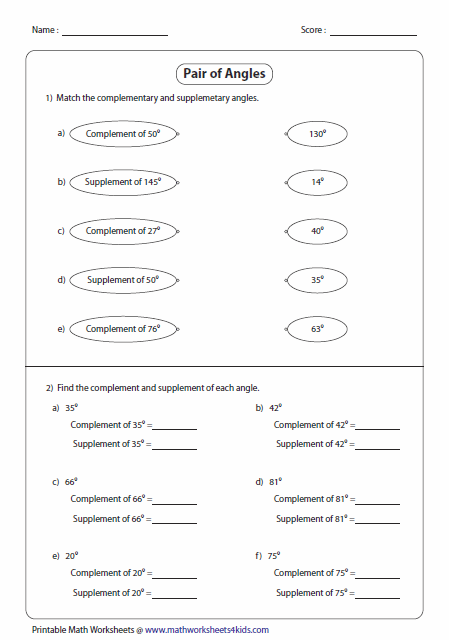 This section contains a standard set of practice sheets on supplementary and complementary angles. 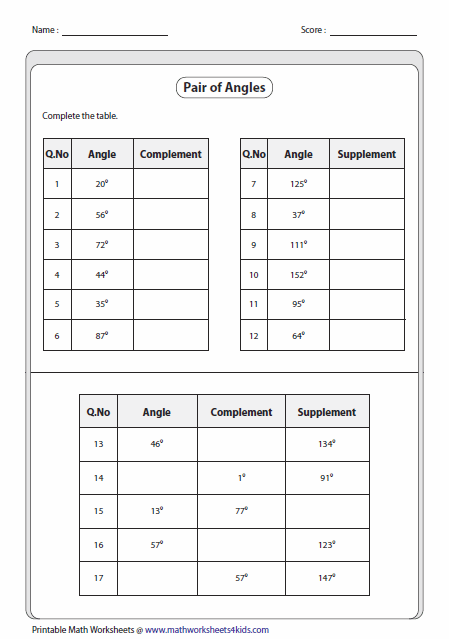 Find the complement or supplement (or both) for each angle in a function table. 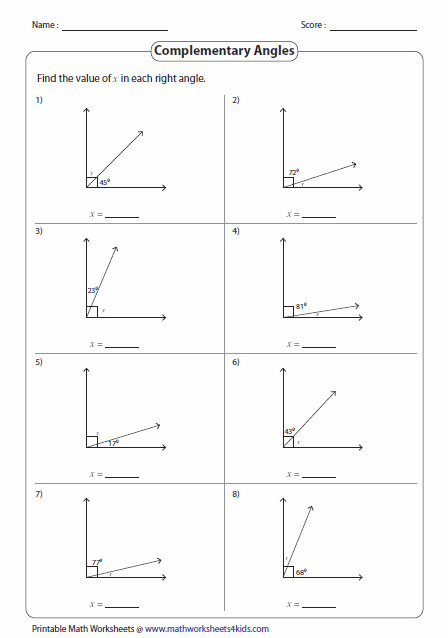 Match the correct angles. 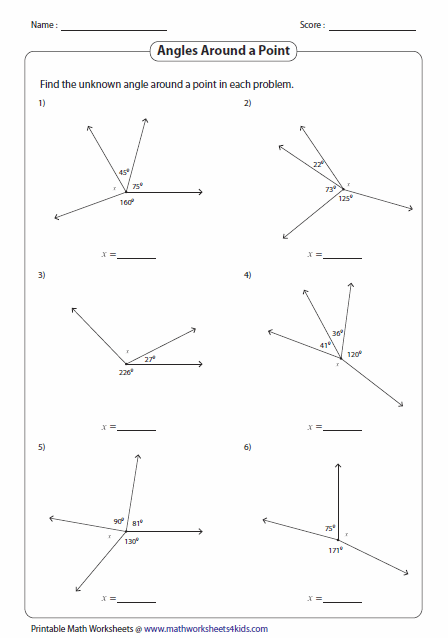 It also contains finding complement and supplement for same angles. Each right angle is divided into two angles. Find the unknown angle or value of x. A ray over a straight line forms a linear pair. 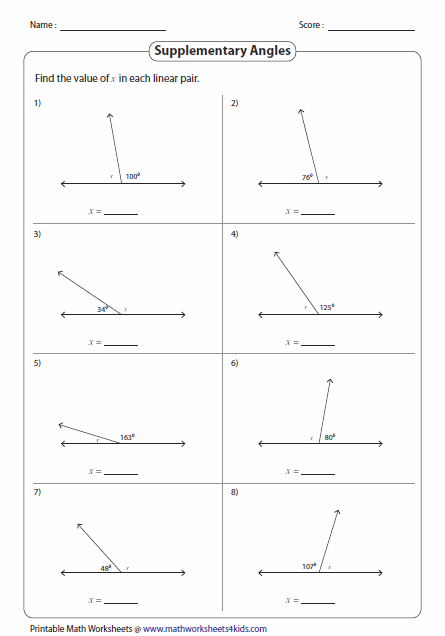 Using the linear pair angle theorem, find the unknown angle. Look at the diagram and answer the questions. 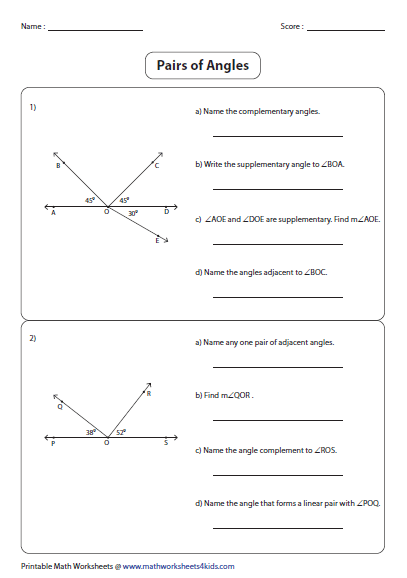 The questions are based on complementary, supplementary and adjacent angles. The sum of the angles formed in a straight line is 180o. 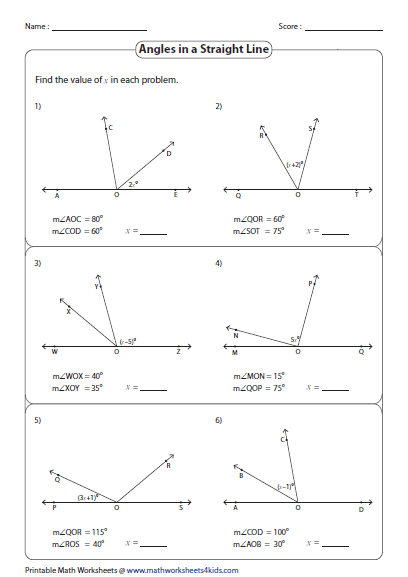 Using the given information, find the missing angles. 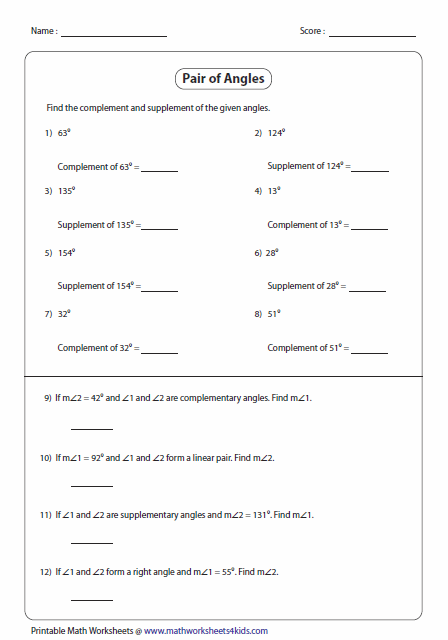 Unknown angles are given in algebraic expression. Set the equation and find the value of x in each problem. When two lines intersect, it forms two pairs of vertical angles and linear pairs at an intersecting point. 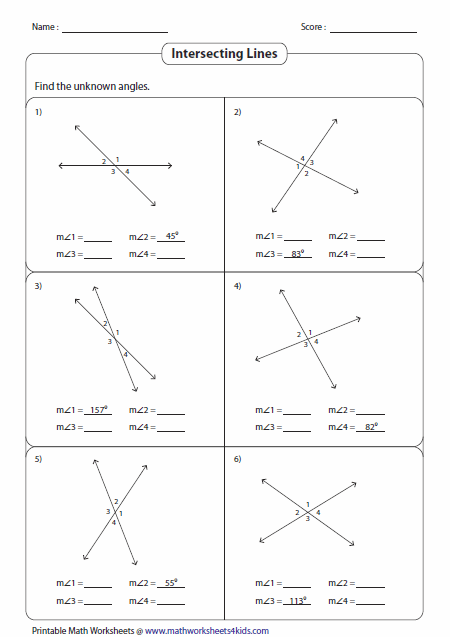 In easy worksheet, one angle is given is each problem. Find the other three angles. 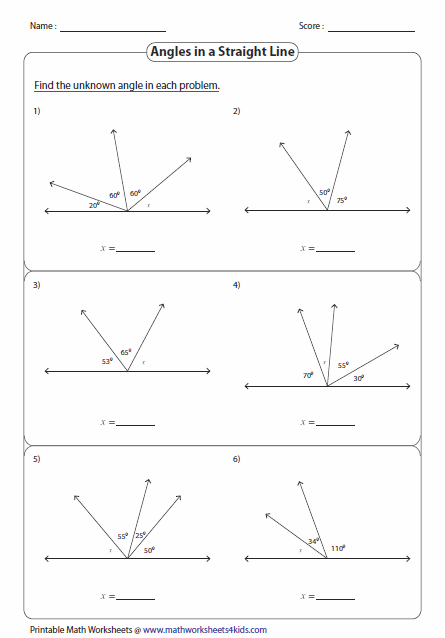 Medium and Hard level contains algebraic expressions. Answer the questions based on the diagram. 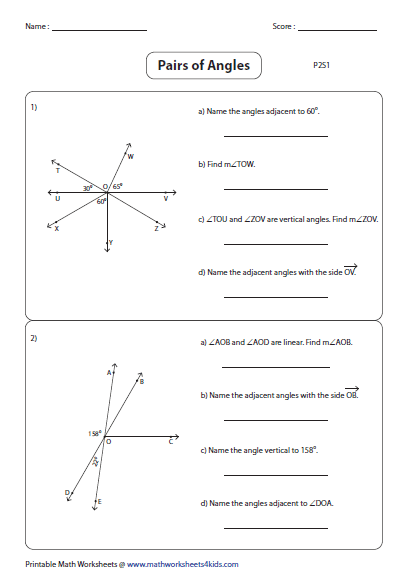 This section will help students in reviewing the skills in vertical angles, linear pair and adjacent angles.